Today we have the second instalment of Kath's you tube video playing with Inkadinks. We hope that you enjoy and please share your creations with us on our Facebook Page. We hope you all have all had a good week so far. Today I am sharing my tutorial with you all. 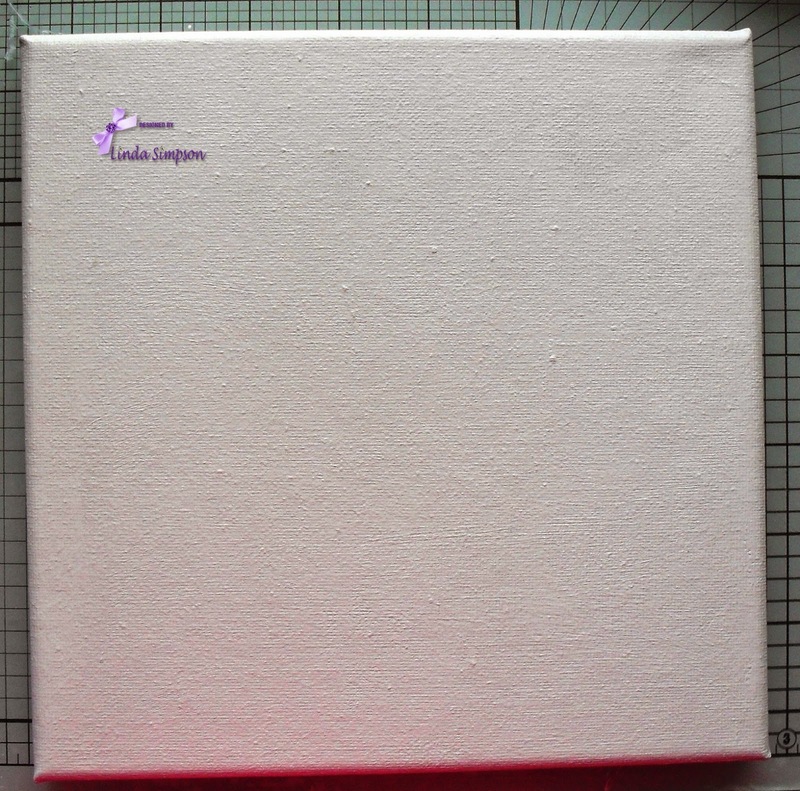 Mix white Gesso with Royal Satin Silkies and paint over the canvas. Using the leaves from the Bird Cages Stencil spread Sage Green Sparkle Medium just over the leaves. 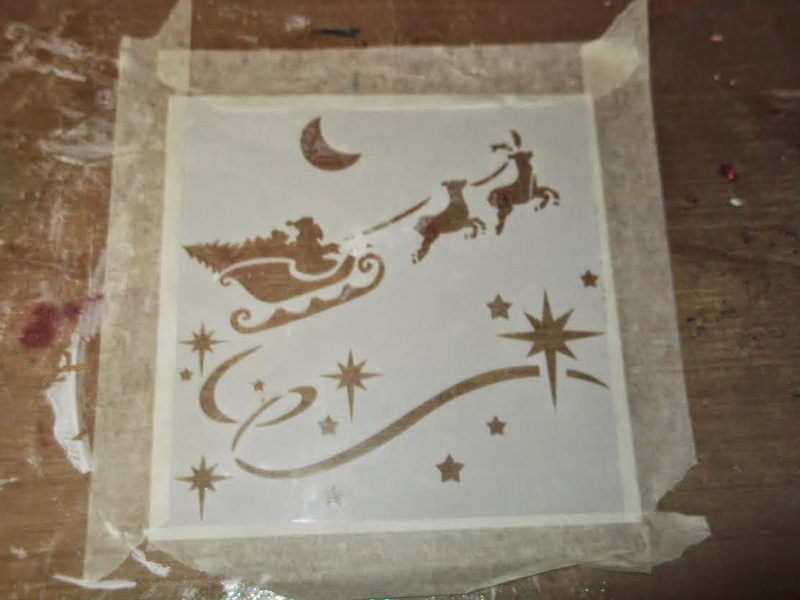 Once the first of the leaves you have stencilled are dry place the stencil again and extend the branch across the top of the canvas. 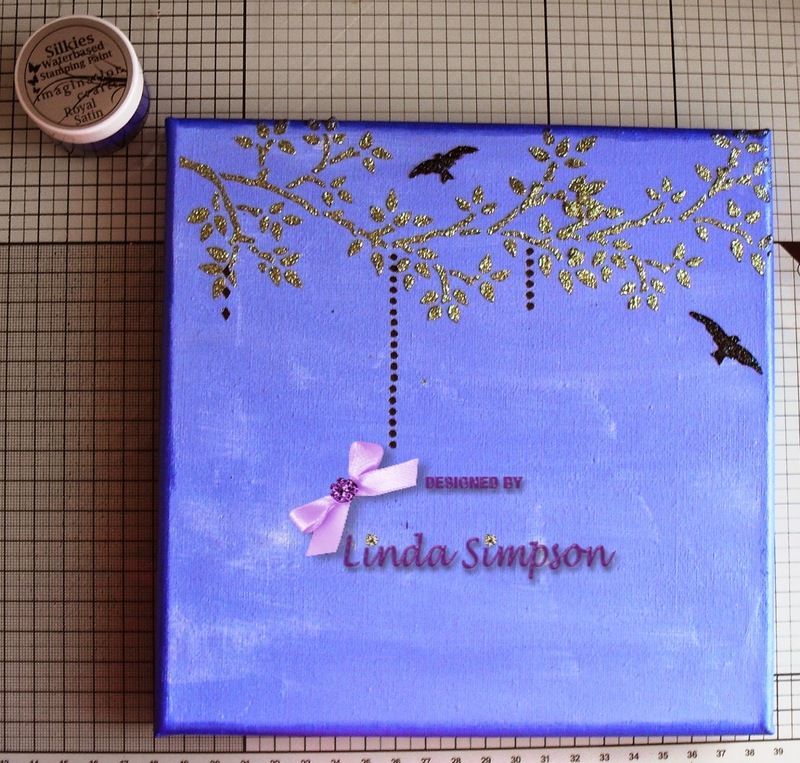 Using the MDF charms paint with Silver Satin, Red Stain, Lavender Lace, Gold Brocade and Bronze Brocade. Using an Pigma Micron pen draw lines on the bird and an eye on each of them. Using Black Stars stencil the birds from the Bird Cages stencil and draw the chain with Pigma Micron pen. 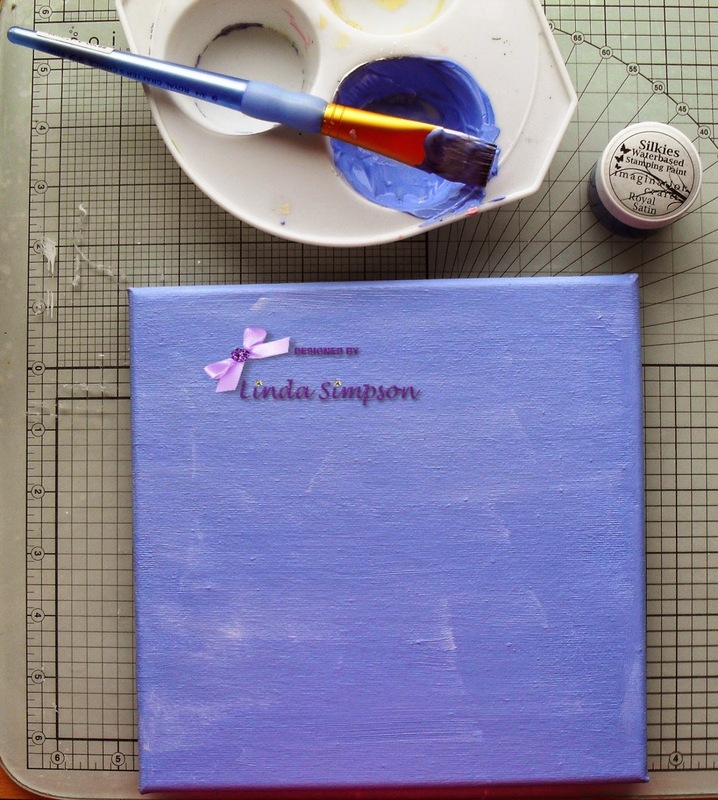 Sponge Royal Satin Silkies around the edges of the canvas. 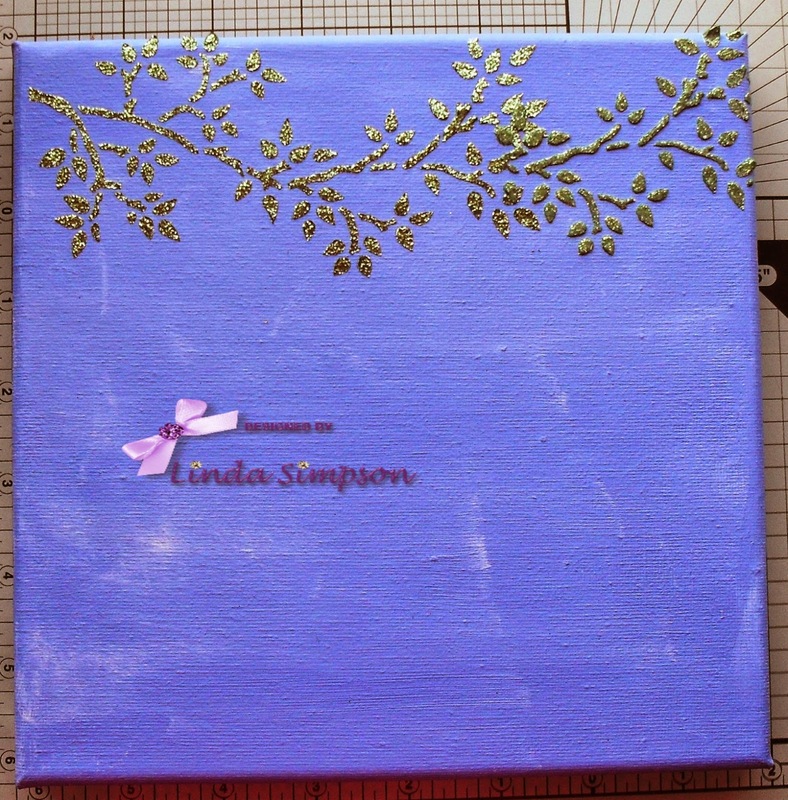 Adhere the charms to the canvas with hot glue gun and add clear gems for butterfly trail and on the two bottom corners. 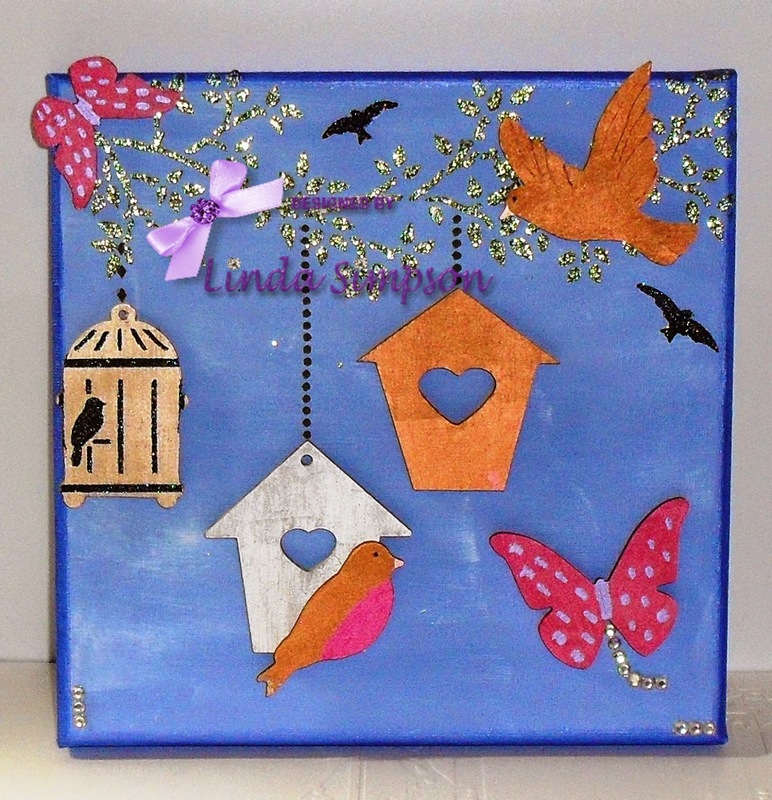 Today we would like to share Jan's tutorial for this month, this will be Jan's final tutorial. We wish Jan the best of luck for the future and thank her for being a fabulous DT member. 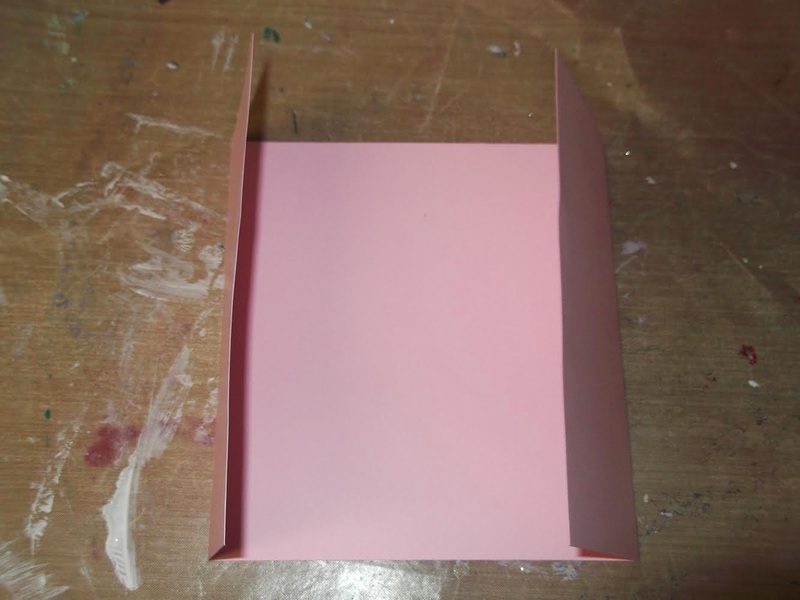 Score a piece of A4 card to make a gate fold card. 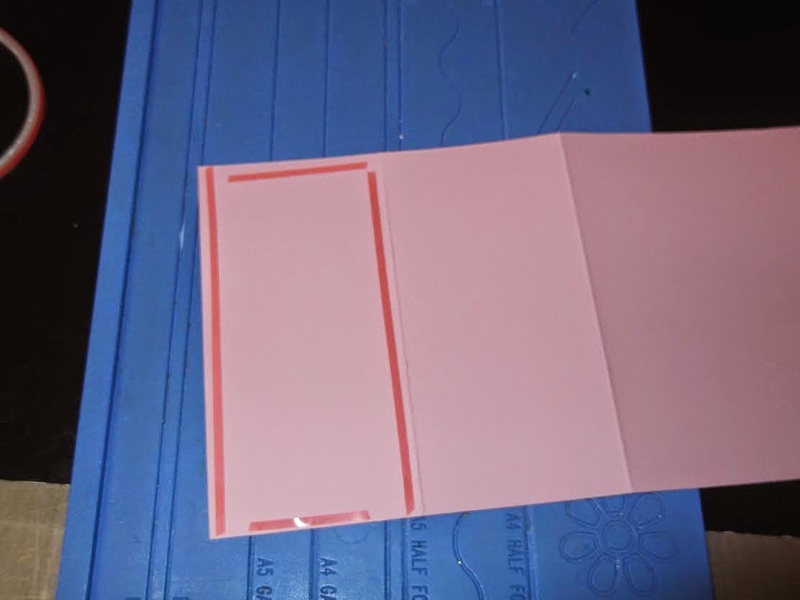 Cut the bottom off so the inside measurement of the card is 6x6. 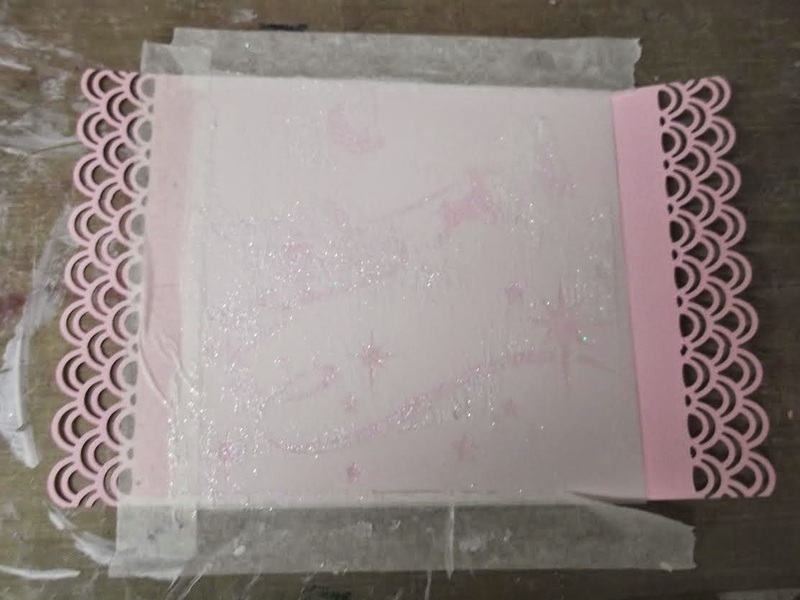 On the inside of the card using Santa's sleigh stencil spread Diamond Sparkle Medium, put this to one side to dry, this will take up to an hour to dry. Using another piece of A4 card cut down to measure 6 inches wide and score as shown to make an easel card. 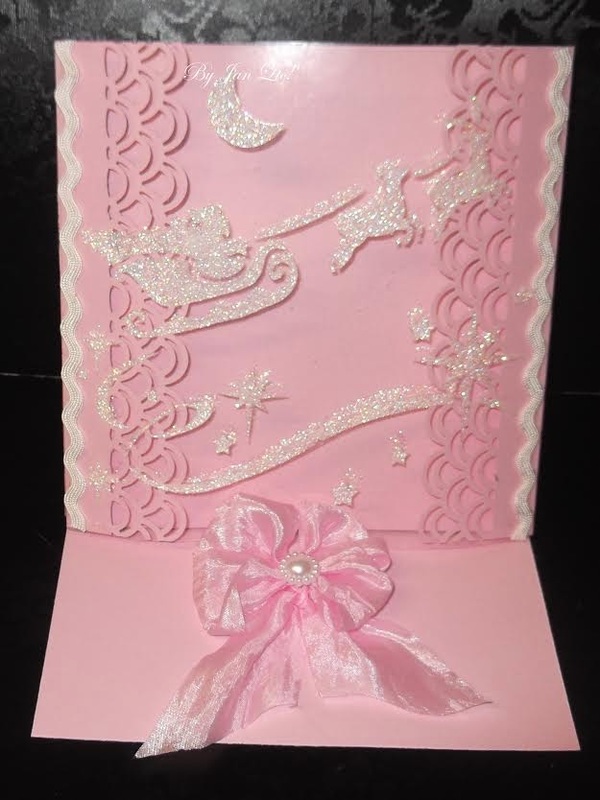 Then stick it over the sides and as closely over the image on the card as possible. 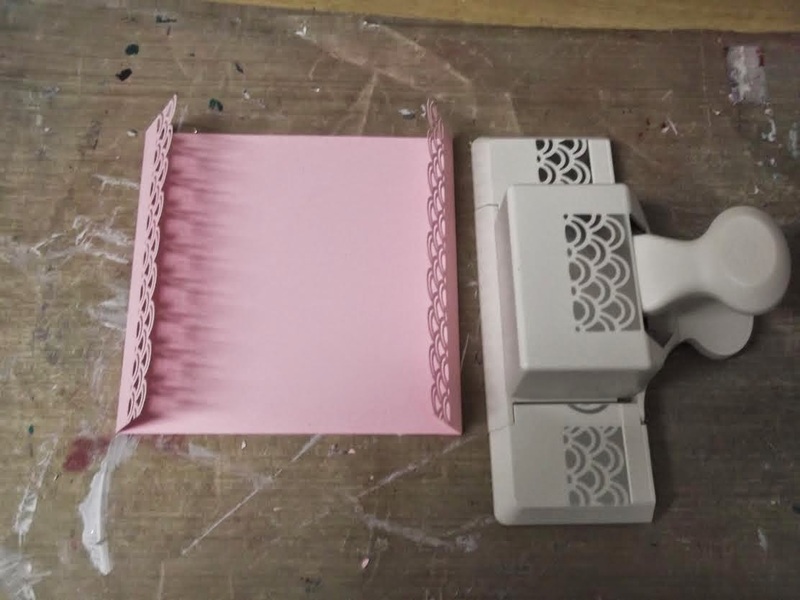 To finish off add a Ric Rac Ribbon down the sides to hide the double sided tape. 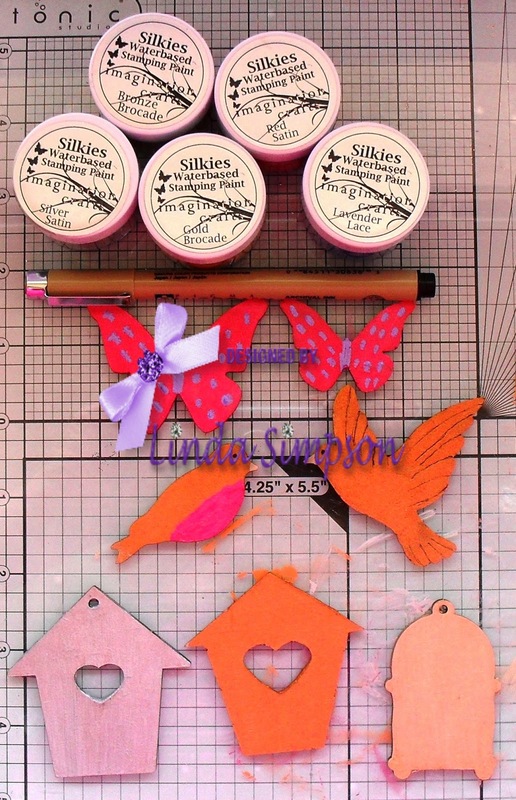 For the stopper make a bow with silky crush ribbon and add a gem to the centre of the bow. Many thanks for visiting Today!